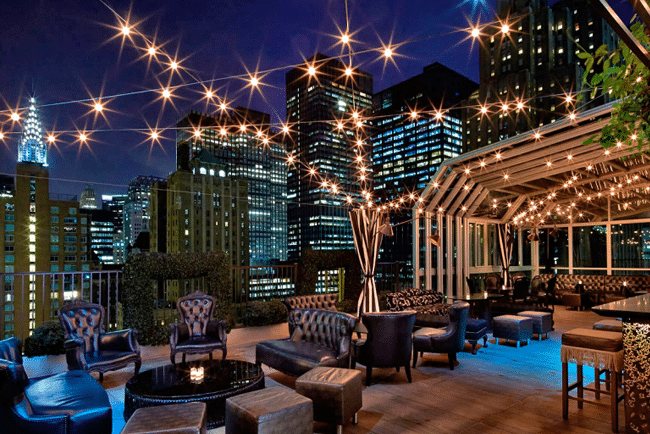 Every year summer in New York brings us new things and this time one of them is the selection of the best rooftops bars this summer. And one of the best activities you can do during the hottest season in the Never Sleeping City is to go to a bar where you can enjoy unforgettable views of the Big Apple. For those summer nights nothing better than a party on a terrace, a good cocktail party and seeing the city lit up, so if you want to enjoy that wonderful experience you just need to know where to go and that is why we have selected the best rooftops bars for this summer, a guide that will help you decide which bar to choose to spend an unforgettable night in New York. 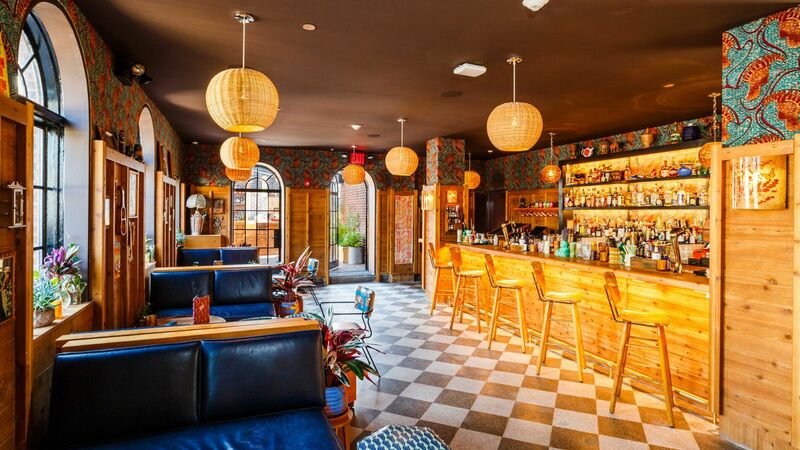 This bar is a very cozy place with a beach cabin style decoration, a very colorful bar with an incredible atmosphere. 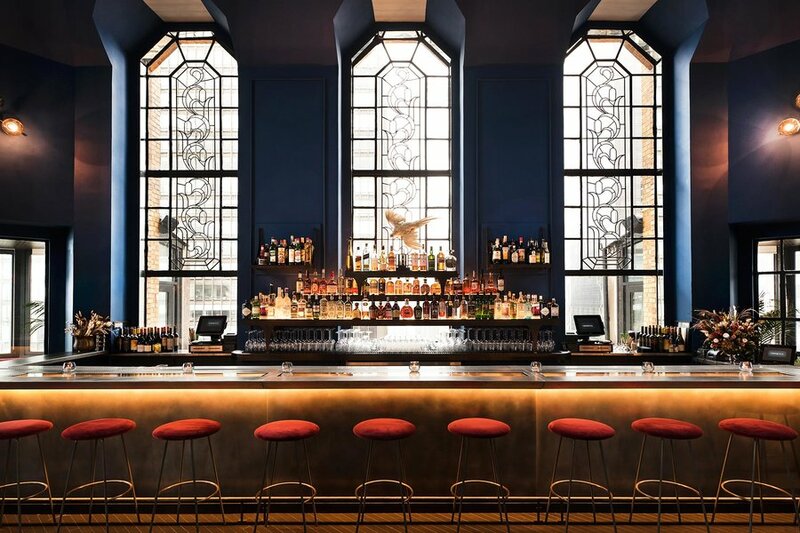 Located right on the top floor of the Freehand Hotel, the bar is large and unlike other bars has no dress code so you can wear casual clothes. Its tropical party atmosphere mixes with the urban and this makes the atmosphere of the bar different from other bars you can find in New York City. The drinks are delicious, they prepare delicious cocktails and their staff is very helpful. 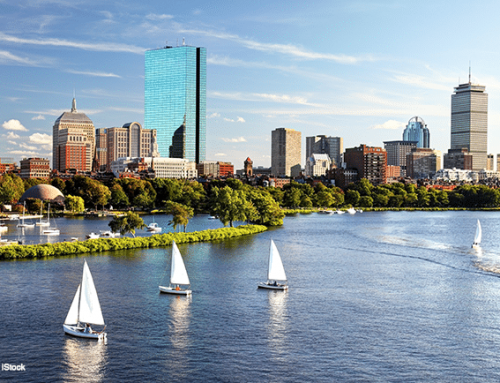 It can be a bit of an expensive place but it is worth a visit as it offers a more relaxed version of the city. 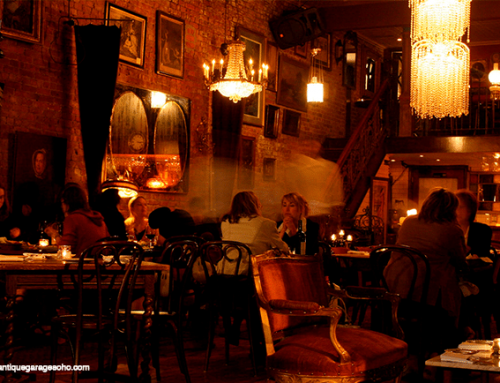 Broken Shaker is a good alternative for tourists who want to spend a fun night in New York. 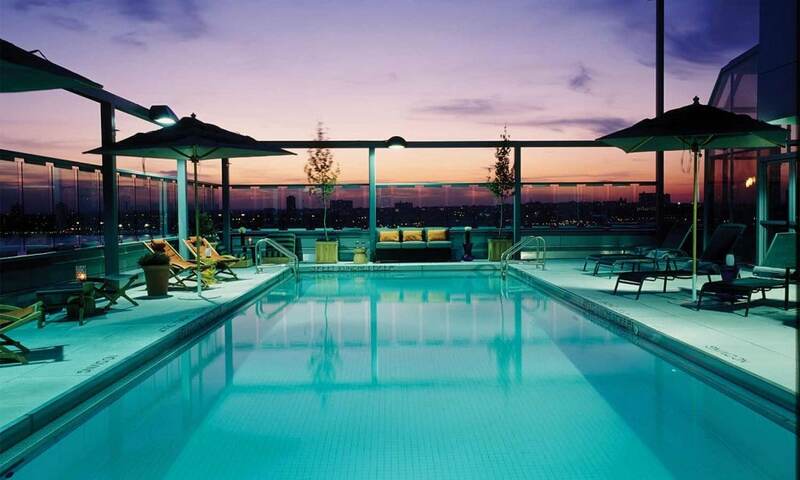 This place is perfect if you want a weekend party and this rooftop is made for people who really love to party, love to dance and who want to meet new people on their visit to New York. 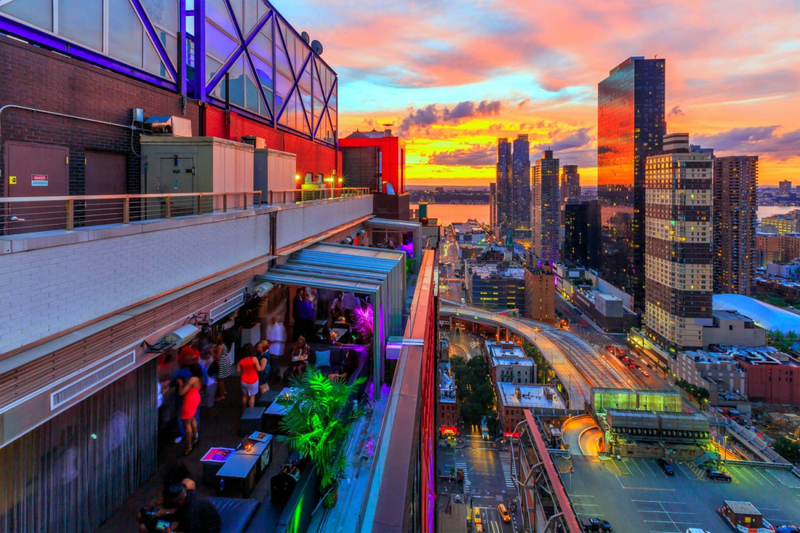 This rooftop bar is very popular as it is considered one of the best places to party in New York, and its happy hour is one of the best in the city. To enter the Gansevoort you must wear formal and elegant clothes otherwise you will not be able to enter. The place has two environments, one where you can listen to music and talk, and another where you can experience the New York party in style, where you won’t stop dancing for a second. The hotel is very popular, so you’ll probably have to wait in line to get in but if you are a partygoer this won’t matter to you. 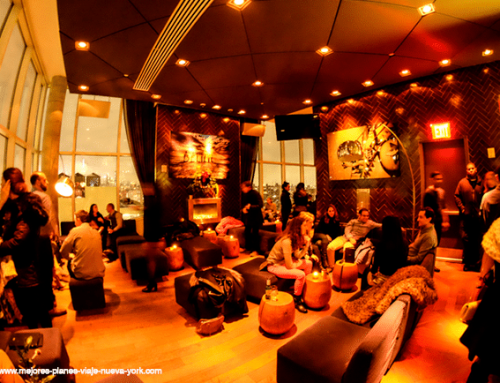 A highly recommended rooftop bar, with excellent music and a great place to have a great time in New York. This bar is amazing! You go up in the elevator to the top floor of the place, open the doors and you find yourself… a rooftop bar with one of the best views in New York. The first thing you should do when you are in Ophelia is to walk around the bar and see the city, it is an impressive experience because you are going to see places in the city that are very difficult to see anywhere else. This bar is more for relaxing, enjoying the view, having a cocktail in the evening and having a good conversation. Ophelia’s service is wonderful, its staff is very friendly and attentive. In short, this rooftop bar offers incredible panoramic views, delicious cocktails and a fantastic souvenir of New York City. 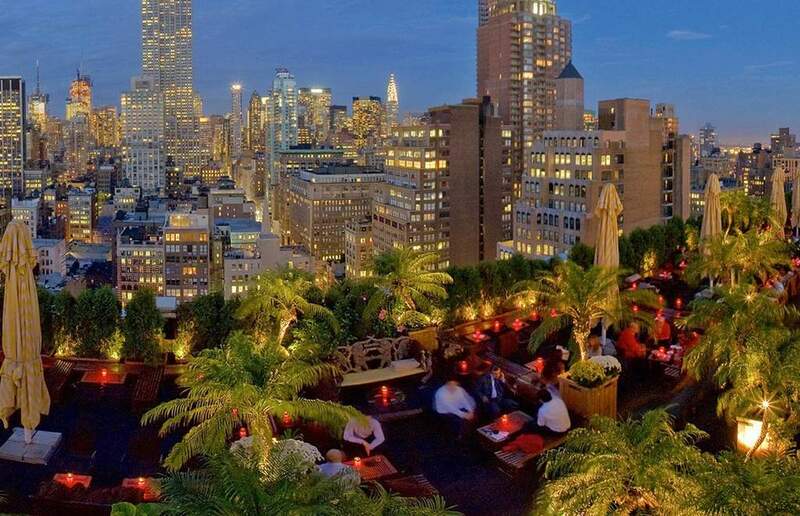 Without a doubt this is one of the best rooftop bars in the Big Apple. Another rooftop bar with incredible views, here the dilemma is that you won’t know where to look, because from one side of the bar you can see the Empire State Building, the Chrysler Building, among others, and from the other side of the bar the One World Trade Center. This bar is very large, has a capacity of approximately 600 people so it is not uncommon to see many people at 230 Fifth. The bar is modern, elegant and the perfect place to relax and end a long day in the Big Apple. The bar atmosphere is very relaxed, ideal for a casual date where you want to chat, listen to good music and drink a cocktail. 230 Fifth’s prices can be expensive, but for the view the place offers of the city is worth it, although if you want to save money the best thing you can do is go at the happy hour. As a recommendation we suggest you go at night, so you can see the city of New York fully illuminated. Sky Room offers you an incredible terrace to watch the sunset of New York. 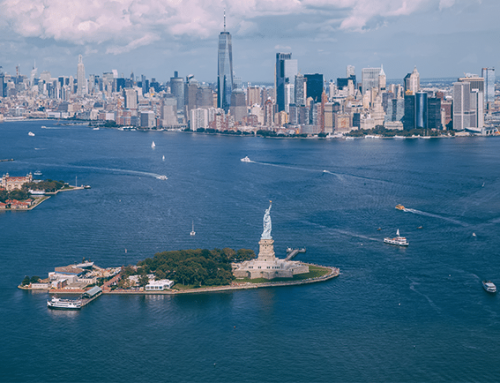 This is an ideal place for first-time visitors to the Big Apple, as from its terrace you can take great pictures of the Hudson River and Midtown NYC. Just like in other bars in the city, here you must comply with a dress code that if you don’t comply is very difficult to be allowed to enter. One thing that makes the atmosphere of the place pleasant is the music, the Sky Room DJ is excellent, always keeps the party lively and makes a good selection of songs for different times of the night. Despite its popularity Sky Room is a little crowded bar, perfect if you are looking for a quiet party where you can socialize and spend a casual night. One thing to keep in mind about this bar is that there are usually more women than men, so this makes it the ideal place if you are looking to meet someone.